Endless variations, really healthy and quick and easy to make. Nope I’ll never get bored of my oatmeal. (Why is it healthy? Click!) I’ll first post the simple basic recipe. Plain it is pretty boring and I never eat it just like this but once you have the basic recipe you can add everything you feel like. Add the pinch of salt, other spices you want to use and other additions like raisins. Enjoy! 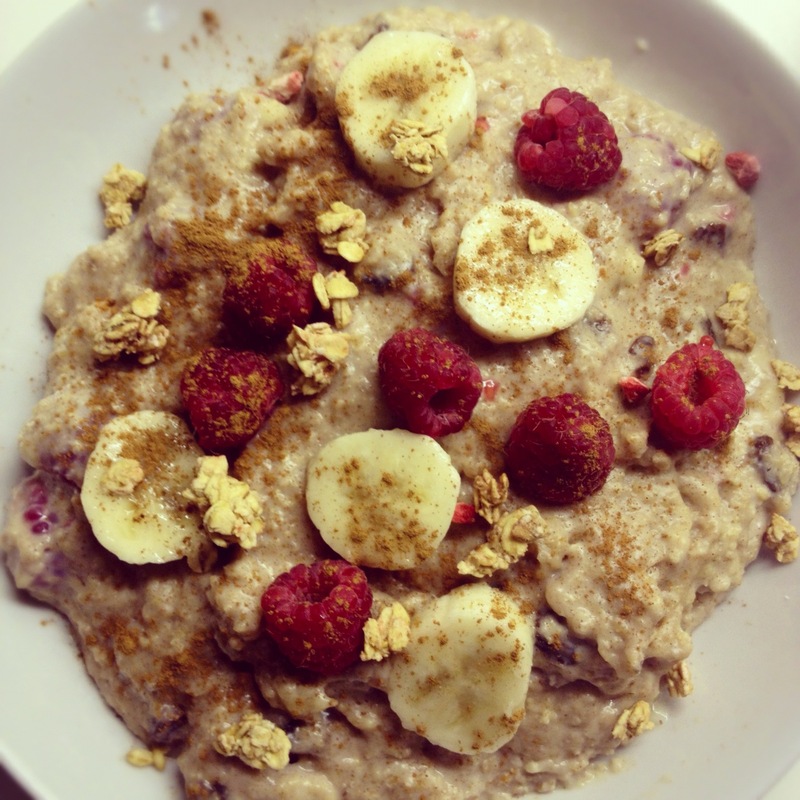 Basic oatmeal cooked with cinnamon and topped with banana, raspberries and some crunchy muesli.